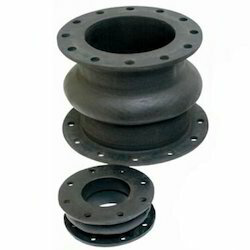 Providing you the best range of ms rubber expansion bellow and metallic rubber expansion bellow with effective & timely delivery. Our organization is counted amongst the most distinguished organizations of MS Rubber Expansion Bellow. These bellows and joints are widely used in different industries like chemical, petrochemical, pharmaceutical and construction. Moreover, our offered components are thoroughly checked by expert quality controllers on various parameters to assure flawlessness. Our domain expertise has enabled us to come up with an excellent collection of Metallic Rubber Expansion Bellow. 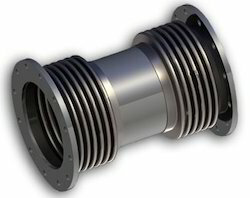 All the offered bellows are designed in accordance with international quality standards, using quality stainless steel material and the latest technology. Our bellows can also be customized as per the specifications laid down by the patrons.